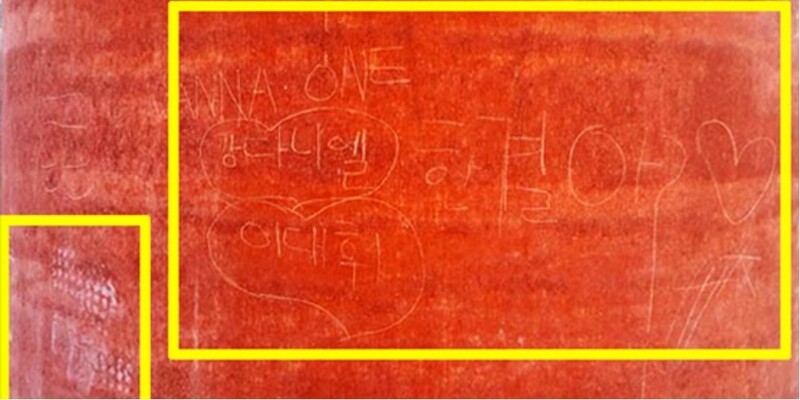 An artwork by famous contemporary artist Lee Woo Hwan has been vandalized by idol fans. 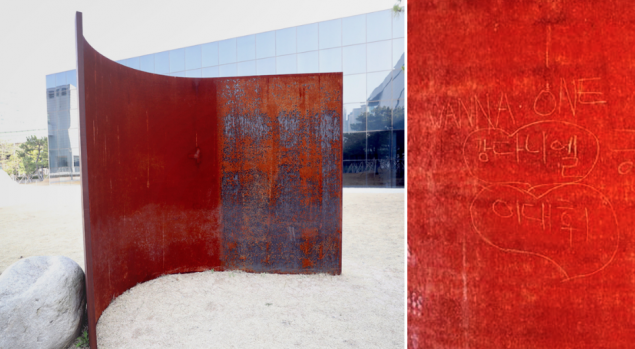 On March 26, the Busan Museum of Art revealed, "We've recently made reports to the police after finding doodles and footprints on the artwork displayed outdoors in the 'Lee Woo Hwan Space'." The artwork created by Lee Woo Hwan in 2015 costs over 700 million KRW (660,000 USD). On the piece, fans have doodled hearts along with the names of Kang Daniel, Lee Dae Hwi, and Hangyul. Director Kim Sun Hee of the Busan Musem of Art stated, "It's an incident that occurred due to lack of awareness of the art and artist. We have recently erased the doodles and reformed the artwork." There are signs stating that security cameras are watching, along with signs asking to enjoy the artwork only with their eyes. Meanwhile, the Busan Haeundae Police Station revealed they're searching for the fans who vandalized the artwork by going over the security camera footage. However, they're having difficulties in finding evidence due to the poor quality of the footage.